Poor Mick has been sick since early February! He's finally over it (knock on wood). But it was one thing after another! First a cold, sore throat, flu, allergies and migraines. It's a miracle that Genevieve and I didn't catch it. I think I've been a lot healthier since getting my tonsils out a year ago, even though I think the doctor left part of my left tonsil in. Mick has been able to work a little bit between relapses. Legion of Super-Heroes is doing very well. He's having a great time inking over Barry Kitson. It's especially a blast to be working on Super Girl. He also wrote two new concert reviews: Danzig & The Misfits and The Hardly Strictly Bluegrass Festival. Visit www.mickgray.net and go to the music section to see all of his concert reviews. Gen has been going to dance class every Saturday at The Little Gym. It's a combo tap, free form, ballet and gymnastics. I love that it's non-competitive. They just want the kids to have fun and learn coordination without feeling stupid for doing something wrong. And now she has a foundation if she ever wants to take more advanced dance or gymnastics lessons. Of course she'll have to sell more of her art on eBay to help pay for the classes (she loves having her own store!). 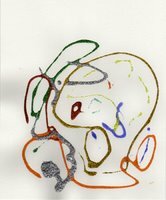 So if you know of anybody in need of some lovely refrigerator art and would like to help support the arts (ha ha), send them over to Original Art by Gen. I have been busy with my t-shirt designs. I created two new sections at my shop, One Smile Can Change The World www.onesmilecan.com . The first is inspired by punk, goth, new wave and retro, but it's all for kids and families. Some of the designs may look ominous, but the messages will be purely inspirational. 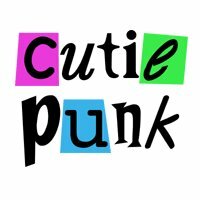 I call it Cutie Punk and I got the domain name to go with it www.cutiepunk.com. I really wanted to do something that would make people look, yet they would get positive messages rather than rudeness. When I say that one smile can change the world, I mean for the better, just as one rude comment will spread negativity no matter how innocently it was meant. 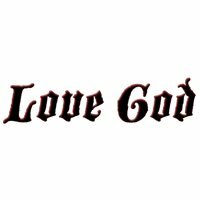 Click on pictures to see the designs on shirts and stuff. I also started a section for weird humor and my first offering is a lovely design for dogs and babies... 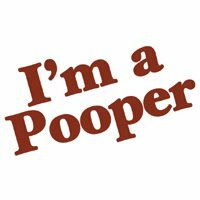 I'm a Pooper. Hopefully I won't offend any Dr. Pepper fans. I just thought it was cute. Click on picture to see it on doggy and baby stuff. I added a new section in SuperSoapFans GH. It's the Gospel Of Corinthos and it was created because of a line of dialogue that had Mick and me laughing so hard we had to replay the scene. Sonny had just found out that Alexis and Sam were mother and daughter. He realized that he had slept with both and got them pregnant. 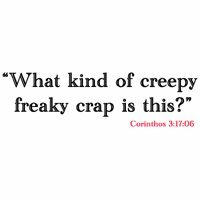 He said "What kind of creepy freaky crap is this?" And Mick told me I had to put that line on a shirt. 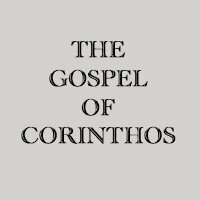 And hence The Gospel Of Corinthos was born. He is after all the "chosen one" of Port Charles. He's always good for a laugh. We love our "gummi mobster". I had to go back to work at IBM for a short term assignment. We needed the money and I figure I can handle it for a week. 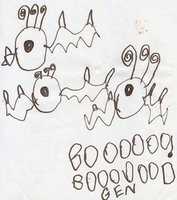 I really need to write a book--we are working on that--so I can become a famous writer and sell lots of copies!!! Then I'll be able to afford working at home on all my little projects. American Idol has returned for a 5th season and we're enjoying the show very much! They got a great bunch this year and I've been very pleased with America's voting so far (except maybe Melissa--she had potential). Our unanimous choices for the final five are Mandesa, Katherine, Taylor, Chris and Elliot. Another show we look forward to is Rock Star. We enjoyed last years so much that we're hoping this year will be even better. Well, that's all for now. Sorry it's been so long since the last post. I'll be posting more often now that my writing muse has returned. Live each today like it's your last.